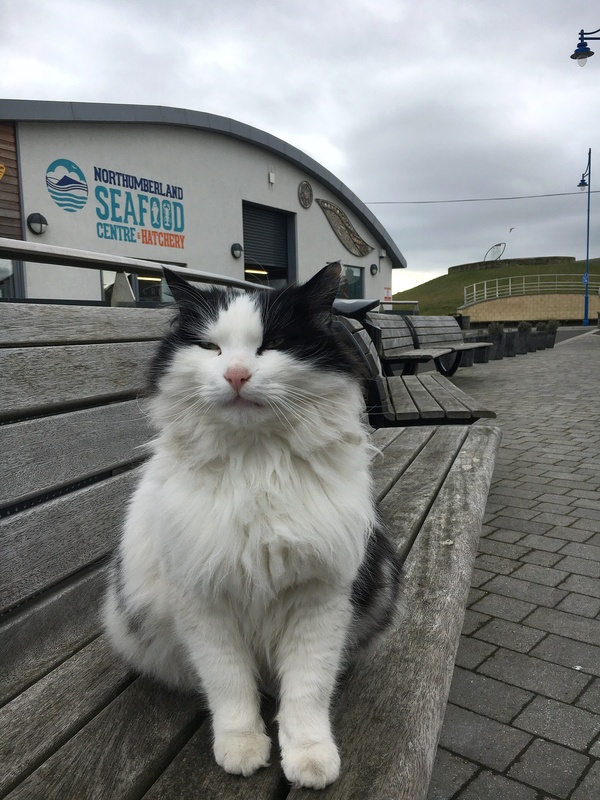 Many of you will know Oscar the Pod Cat from seeing him at the Harbour Village and around Amble. Sadly, Oscar died suddenly at the Harbour Village on Saturday 16 February. He was apparently in good health at the time and did not suffer at all. Some of you will be aware that Oscar was quite ill last summer with a rare bone infection in his jawbone. He had to stay indoors with his foster parents, Lynne Morelli and Guy Nutting, for three months, so that daily antibiotics could be administered. He was such a good patient throughout this! Sadly, his fans weren’t able to see him last summer – many travelling to Amble just to see him as he was a real tourist attraction. But fans were regularly updated via Facebook posts. 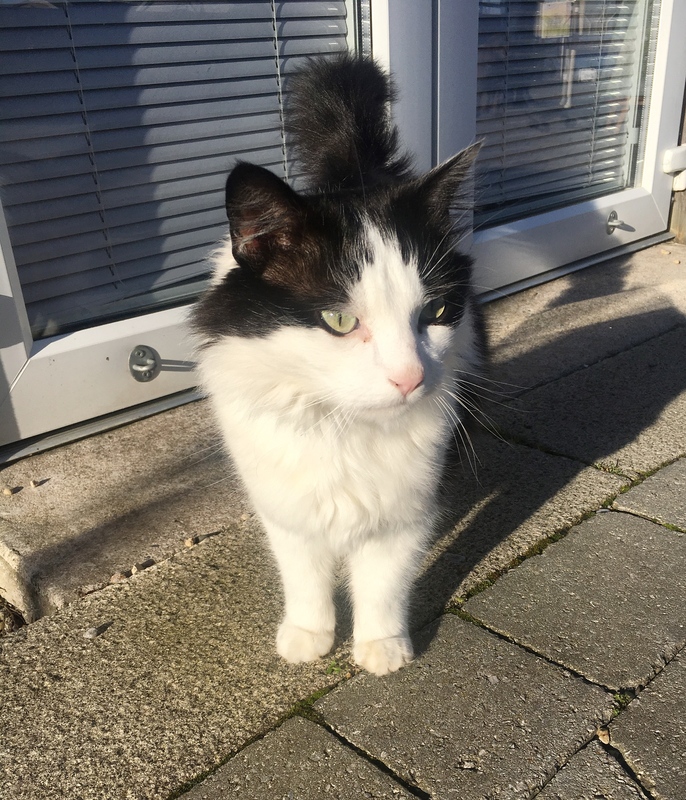 Oscar made a full recovery and was allowed out last September. He was able to enjoy his independence again, wandering between the Harbour Village and town square. But this time he chose to settle down and returned to his ‘Catotel’ every evening, taking it easy and living the good life. Oscar grew in popularity, this year reaching over 1000 followers on Facebook. Lynne designed a range of Oscar the Pod Cat greeting cards last September and sold over 600 through Laura Hardy, his original Mummy, at Coquet Cosmetics and also online. With the money raised from this and kind donations, his carers are looking into ideas for some kind of Oscar memorial at the Harbour Village. They will post on Facebook as soon as they have details to share. Lynne, Guy, Laura, Ashley Sims and Paul Rigby would like to thank everyone for their support. Thank you also to Alnorthumbria Vets for their care over the last few years. Oscar will be greatly missed by many.